Hey, you've sold your keyboard. Congrats! Now it's time to gather the materials you'll need to pack and ship it safely to its new home. Don't worry – we'll walk you through it. Finding the perfect sized box right out of the gate can be difficult for instruments of varying dimensions, so we're going to assume that you need to cut down a bigger box to just the right size. Measure your instrument. Add 5" (13cm) to the length, width, and depth measurements of your instrument for the ideal box size. Mark your box. Mark your box so you know where to cut. Don't forget to add space for flaps! Make your cuts. Cut along the lines you marked on your box, and then cut your flaps. 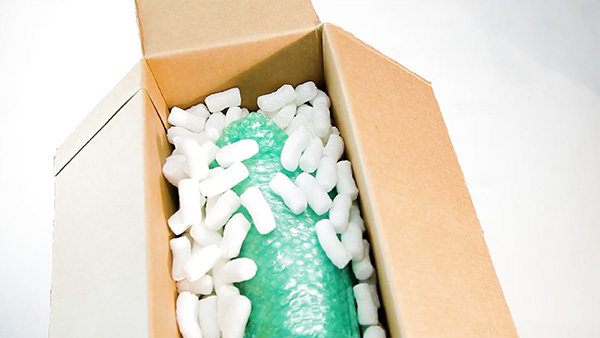 Use 2-3 layers of bubble wrap to wrap up your keyboard. After your keyboard is wrapped and taped, wrap up your power cord and any other cables in their own layer of bubble wrap. Place the wrapped cable(s) on top of the wrapped keyboard and wrap it all together with another layer of bubble wrap. 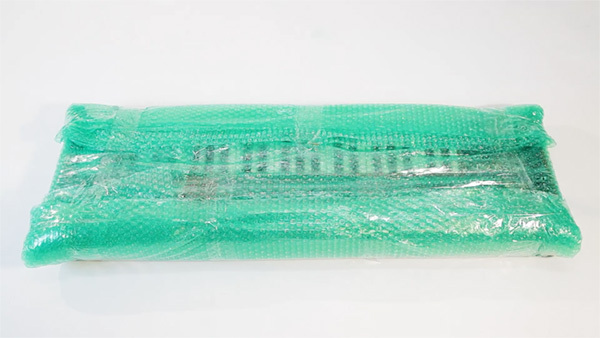 After your keyboard and cables are wrapped together, grab two more layers of bubble wrap. Take one layer, roll it up so that it's 2-3" (5-8cm) thick, and tape it together to make a padded end. Do the same with the other layer. Take each end and secure them to the ends of your wrapped keyboard. Next, layer the inside floor of the box with 2-3" (5-8cm) of packing peanuts. Then slide your instrument into the box, and line all sides with more packing peanuts or other padded packing materials. Then tape your flap closed. You can feel confident that your keyboard is packed snugly and securely if nothing moves inside of it when you shake your closed box. Once everything is securely packed, place "Fragile" and "This Side Up" stickers onto the outside of your box. If you don't have any of these stickers handy, clearly mark your box with a thick marker. If you have your own scale, weigh your box and print your prepaid shipping label right from Reverb. We give a little discount to our sellers on prepaid shipping labels, and if you ship with us, your package will be insured under Reverb protection. If you don't want to go through Reverb, you can also take your package to your carrier of choice. And that's it! As long as you follow these simple instructions, you can rest easy knowing that your keyboard is going to safely arrive at its new home.